Public smoking in China‘s capital, Beijing, is now banned after the introduction of a new law. China has over 300 million smokers and more than a million Chinese die from smoking-related illnesses every year. Smoking bans already existed in China, but have largely failed to crack down on the habit. These tougher regulations, enforced by thousands of inspectors, ban lighting up in restaurants, offices and on public transport in Beijing. Smoking in China often seems like a national pastime. The country consumes a third of the world’s cigarettes. More than half of men smoke. It’s seen by many as a masculine trait – women, in contrast, rarely smoke. A common greeting among men is to offer a cigarette – the more expensive, the better. A carton of cigarettes also remains a popular gift. Anti-tobacco campaigners say many smokers are simply unaware of the health risks of their habit. They accuse the authorities of being addicted to the tax revenues generated by cigarette sales and therefore not warning smokers about the dangers. But now there are signs the government has changed its mind. 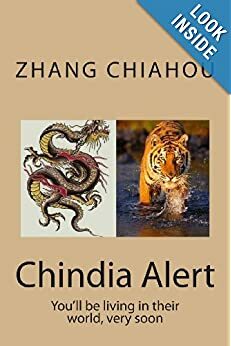 In the past, China’s leaders such as Chairman Mao and his successor Deng Xiaoping were rarely seen without a cigarette in hand. But the current President Xi Jinping has bucked the trend: he’s quit. And he’s also banned officials from smoking in public in order to set an example. via Beijing public smoking ban begins – BBC News. China is considering raising cigarette prices and taxes, a health official said on Wednesday, as the world’s largest tobacco consumer fights to stub out a pervasive habit. Smoking is a major health crisis for China, where more than 300 million smokers have made cigarettes part of the social fabric, and millions more are exposed to secondhand smoke. Campaigners for tougher curbs face hurdles, but reforms of the tax system offer China an opportunity to rein in tobacco use, Yao Hongwen, a spokesman for the National Health and Family Planning Commission, told a news conference. via China plans hike in cigarette taxes, prices to deter smokers | Reuters. China, the world’s biggest tobacco market, is considering a draft regulation that would ban indoor smoking, limit outdoor smoking and end tobacco advertising, the state-run Xinhua news agency has reported. The draft, published by the legislative affairs office of the State Council, or cabinet, and open for public consultation, included plans to curtail smoking scenes in films and TV shows, Xinhua said in a report published late on Monday. China faces a smoking-related health crisis, with more than 300 million smokers and hundreds of millions more exposed to second-hand smoke each year. However, cigarettes are part of China’s social fabric and advocates of tougher smoking regulations have faced difficulty pushing through controls. The government’s heavy dependence on tobacco taxes has been a major impediment to anti-smoking efforts. Last year, the tobacco industry contributed more than 816 billion yuan ($131.70 billion) to government coffers, an annual rise of nearly 14 percent. Sources told Reuters in September that intense lobbying by the powerful state tobacco monopoly had resulted in the weakening of controversial legislation that had meant to introduce a complete advertising ban. The draft regulation would ban indoor smoking in public places and outdoor spaces in kindergartens, schools, colleges, women’s and children’s hospitals and in fitness venues, Xinhua said. The draft also prohibits selling cigarettes to minors through vending machines. It urged civil servants, teachers and medical staff to take the lead in tobacco control, saying teachers and medical workers would not be allowed to smoke in front of students or patients. 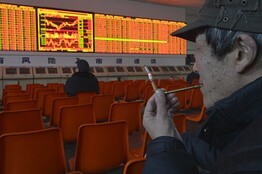 via China considers tougher tobacco controls: Xinhua | Reuters. China aims to impose a nationwide ban on smoking in public places this year, as authorities move to stamp out a widespread practice that has taken a severe toll on citizens\’ health. 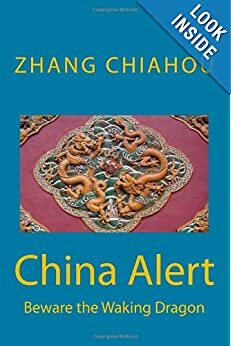 China, home to some 300 million smokers, is the world\’s largest consumer of tobacco, and smoking is a ubiquitous part of social life, particularly for men. Tougher regulation of smoking is a priority this year, officials from the National Health and Family Planning Commission said this week, adding that the agency was pushing lawmakers to toughen laws on tobacco use. \”Compared to the damage to health that smoking causes, tobacco\’s economic benefits are trivial,\” Mao Qun\’an, a spokesman for the commission, told a news conference on Tuesday. The drumbeat to reduce tobacco use has grown steadily louder in the past few years, but experts say China\’s powerful tobacco industry, which has resisted raising cigarette prices and use of health warnings on cigarette packs, has been a tough opponent. The nationwide smoking ban has long been in the works. Several cities have banned smoking in public places, but enforcement has been lax. Beijing pledged in 2008 to prohibit smoking in most public venues, including government offices, but no-smoking signs are frequently ignored. Steps recommended by the commission range from beefing up education on the dangers of tobacco to banning smoking in schools and hospitals. An official in the tobacco control office of the Chinese Centre for Disease Control and Prevention said in December that lawmakers would consider the nationwide ban on smoking in public places this year. The commission\’s statement follows a government circular urging Communist Party cadres and government officials not to light up in schools, workplaces, stadiums, and on public transport, among other places, so as to set a positive example. via China aims to ban smoking in public places by end of the year | Reuters. Chinese officials are asked to \”take the lead\” in adhering to the smoking ban in public spaces. According to a circular from the Communist Party of China Central Committee and the State Council, officials are not allowed to smoke in schools, hospitals, sports venues, public transport vehicles, or any other venues where smoking is banned. Government functionaries are prohibited from using public funds to buy cigarettes, nor are they permitted to smoke or offer cigarettes when performing official duties, the circular notes. \”Smoking remains a relatively universal phenomenon in public venues. Some officials smoke in public places, which does not only jeopardized the environment and public health, but tarnished the image of Party and government offices and leaders and has a negative influence,\” reads the circular. The sale of tobacco products and advertisements will no longer be allowed in Party and government offices. 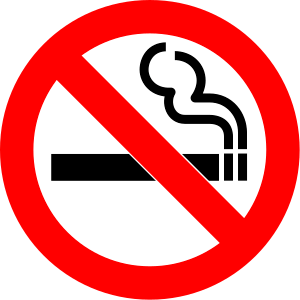 Prominent notices of smoking bans must be displayed in meeting rooms, reception offices, passageways, cafeterias and rest rooms. China is the world\’s largest cigarette producer and consumer. The number of smokers exceeds 300 million, with at least 740 million nonsmokers regularly exposed to secondhand smoke. In 2003, China signed the WHO Framework Convention on Tobacco Control (FCTC) and it became effective in January 2006. The FCTC requires a reduction in tobacco supply as well as consumption. The 12th Five-Year plan (2011-2015) promised to ban smoking in public places. Experts are widely critical of the current government effort, which lags far behind the FCTC standard, and no national law is yet in place banning smoking in indoor public places. via Chinese officials banned from smoking in public – Xinhua | English.news.cn. WSJ: “China’s government has a New Year’s resolution: to stamp out smoking. Leaders aim to reduce smokers to 25% of the population by 2015, down from 28% in 2010, according to a smoking-cessation plan the Ministry of Industry and Information Technology published recently. The work of the ministries of health, finance and foreign affairs, as well as the administrations of tobacco, safety, customs, industry and commerce, it plots moves to ban smoking in public places and end ads and sponsorships by tobacco companies. China is home to 300 million smokers, a quarter of the world total, and they burn up a third of the world’s cigarettes, according to a study from the Brookings Institution, a Washington think tank. The stub-smoking initiative comes weeks after World Health Organization officials urged China’s government to reduce smoking rates by at least 30% by 2025 through programs teaching that habits such as tobacco use and excessive salt intake can lead to chronic diseases and early death. Smoking-related sicknesses kill more than one million Chinese citizens each year, according to the WHO, and smoking contributes to the country’s high rates of chronic disease—which accounts for 80% of deaths and 70% of health expenditure. Critics of China’s tobacco plan say enforcement details are lacking. A smoking ban in public places such as hotels and restaurants, announced in 2011, has been only loosely applied. “Apart from the legal codes legislated by various local governments on banning smoking and installing ‘no smoking’ signs in public places, there are hardly any specific rules to enforce the ban,” an editorial in the state-owned China Daily said, adding, “Besides, very few smokers have received due punishment violating the ban.” The editorial also notes that cigarette packages lack graphic health warnings—which in other parts of the world can include gruesome images. via The Word From Beijing: Thank You for Not Smoking – China Real Time Report – WSJ.